and exhibit the memories of our community. Many people were employed in Hemel Hempstead’s paper and printing industry and this project will capture what it was really like to live and work locally in days gone by. 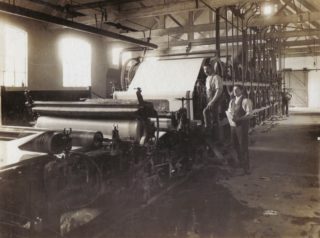 If you are an ex-John Dickinson’s employee, a papermaker, a printer or if you have local memories totally unrelated to the Paper and Print industry, we’d love to hear from you. 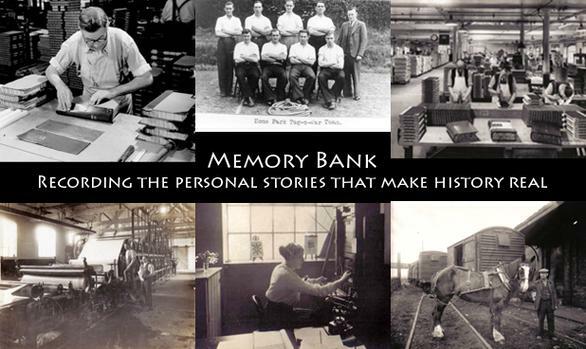 Tom Hunt, the Memory Bank Project Co-ordinator, will be holding two sessions at Hemel Hempstead’s Frogmore Paper Mill on Sundays 26 February and 11 March from 11.00am to 4.00pm to record your stories. If you’d like to take part in the project, please contact Tom on 01442 234600 or email him tomhunt@thepapertrail.org.uk to book a time. If you are unable to attend one of these sessions but would still like to tell your story, please get in contact to discuss further.